Website page loading speed has become an priority over the last few years. According to a 2009 survey, 50% of web users expect a site to load within 2 seconds. Most people hit the back button or close the browser if the site fails to load within 3 seconds. Plainly put, if you site is slow, you lose loyal readers and for ecommerce sites, it’s even worse because you lose customers. So, if you want to learn how you can improve the speed of your WordPress site, read on. Your hosting server is a critical component of how fast your site loads. Most bloggers and small business owners start out with budget websites on shared hosting plans. Shared hosting plans can affect the speed of a site especially if the same server is hosting other sites that hog system resources. Thus, even if you do everything else right but shared plan isn’t optimal, your site will still have speed issues. The best type of hosting is dedicated hosting where your site is hosting on it’s own server. 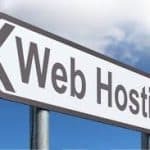 Unfortunately, dedicated hosting is expensive so the next best is Virtual Private Hosting (VPS) where one server is partitioned into several distinct servers. 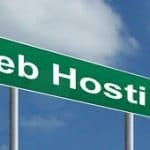 WPBeginner wrote a good article on WordPress Hosting. Avoid using clunky code heavy themes. When it comes to themes, simple is briliant especially for SEO. Code heavy themes not only give search engines a hard time crawling the site, they also slow down a site considerably.WPDean wrote a good article on SEO ready themes. A few tweaks on WordPress home page can have amazing effects on speed. Configure your site to only show post excerpts as opposed to entire articles. Also, only show a few excerpts. You should also avoid using big social media plugins. Use small widgets and your site will load much faster. Plugins are great tools to extend the functionality of WordPress sites but unfortunately, too many plugins are also bad as far as speed is concerned. Keep your plugins to the bare minimum and if you aren’t using a plugin, uninstall it.WPExplorer wrote a good article on removing unnecessary plugins. Internet users love eye candy which is why images and video have become vital over the last few years. Unfortunately, each image also increases the size of a web page. The best way to deal with this conundrum is to get a comprise between image quality and size. To achieve this, use a tool such as Gimp. Gimp is a free image editing tool that just as powerful as Photoshop. It has the option to automatically convert images to web ready images. The other thing you should do is to implement the Lazy Load option. 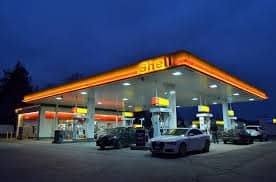 Lazy Load stops a browser from loading all the images on a page and only loads images further down as the user scrolls. Image heavy pages should also be split into multiple pages so that the user clicks page 2,3,4 and so forth. Out-of-the-box, WordPress is inefficient. A lot of unnecessary stuff is retained with the effect of inflating the database size. To keep your database optimized, install a database optimization plugin. Caching is a technology that allows static pages and images to be stored by a browser such that the next time someone requests your site, the local copy is loaded. This reduces page speed significantly. To enable website caching, install a plugin. In addition to caching, you should also use a content delivery network (CDN). A CDN moves your site physically closer to users via network of distributed servers. Incapsula wrote a great comprehensive CDN guide. Being the most popular content management system, WordPress also attracts the scum of the earth in terms of hackers and online criminals. Once your site is hacked, it can be used to spread malware and steal information. The scripts crooks install to carry out their malfeasance slow down your site. Keep your WordPress site safe by using a strong password and by implementing two-step verification. So there you have it, 8 ways to improve the speed of your WordPress website. One last thing. To find out if these changes have made a difference to your website, you need to track and test. The best tool is Google’s PageSpeed Insights tool which can be found in Google’s Web Search Console. I hope this makes a difference to your site. Why booking tatkal ticket is nightmare?